Ximena serves as President and Chief Executive Officer, as well as serving on the board of directors of U4C. She is an international business professional and social entrepreneur. In addition to her role at U4C, Ximena is a consultant in the areas of global development, corporate social responsibility, international business and social entrepreneurship. Ximena holds a Master’s Degree in International Business from the University of St. Thomas, Houston and has designed and implemented successful international business development and marketing campaigns in the U.S. and Latin America. Her global development experience includes involvement with USAID and the United Nations Association. 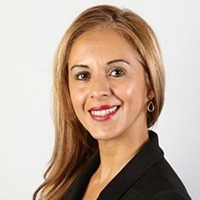 Ms. Murillo was the Alumni Director for the Goldman Sachs 10,000 Small Businesses initiative at Houston Community College, a corporate engagement investment funded by the Goldman Sachs Foundation. A native of Bolivia, Ms. Murillo is fluent in both Spanish & English and she has served as a consultant and professional translator for the UNDP Latin America Regional Service Centre-Panama.